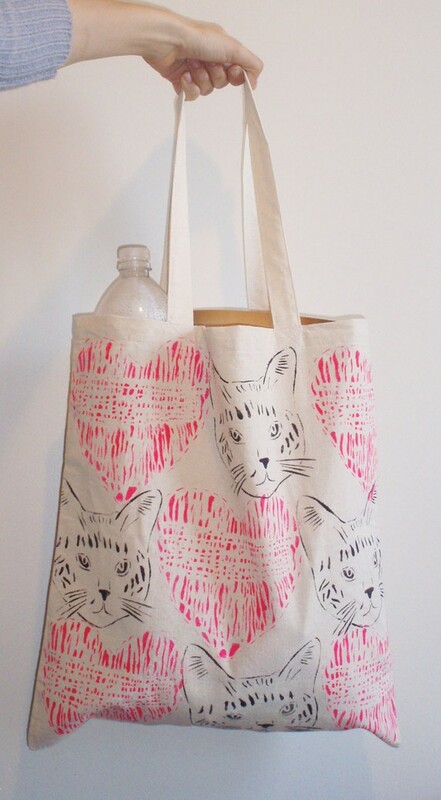 Catsparella: EM By Miri Hand Printed Kitty Tee and Tote Giveaway! EM By Miri Hand Printed Kitty Tee and Tote Giveaway! Brooklyn-based designer, Miri Shilo of EM by Miri, creates simple, yet super cute hand printed t-shirts, tote bags, onesies, and more for her Etsy boutique! 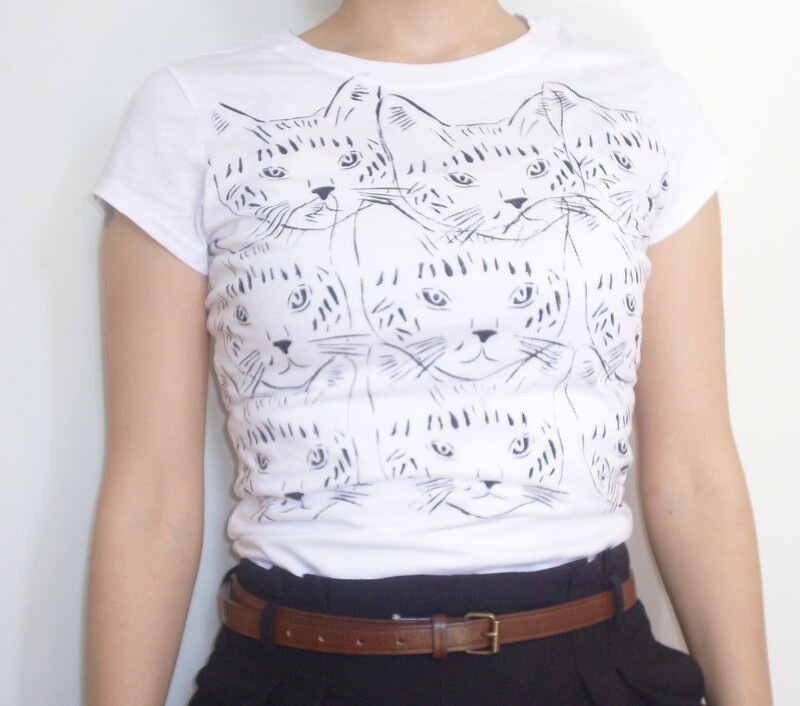 Miri's simple, yet chic aesthetic comes from her educational background in textile and accessories design, and from her love of sewing, screen printing, abstract art, and of course - cats! In her spare time, she volunteers at KittyKind, a not-for-profit, no-kill, all-volunteer cat rescue and adoption group in New York City. 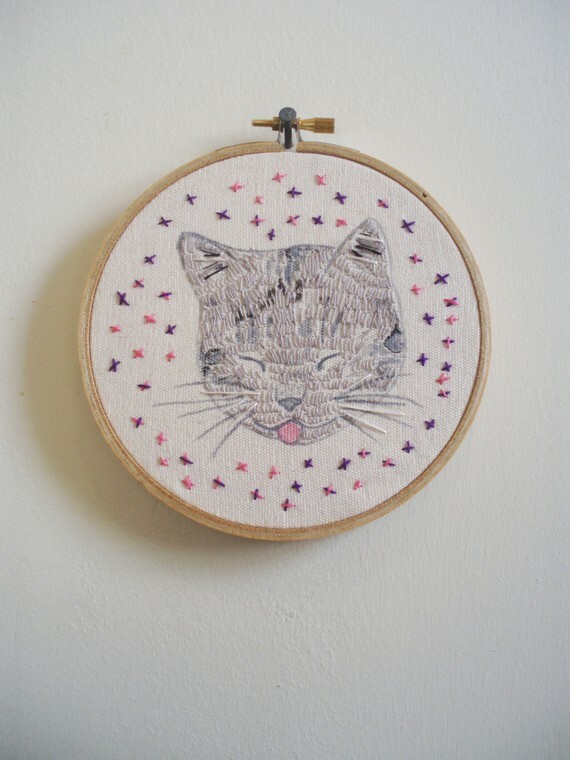 Check out some of my favorite pieces from the EM by Miri collection below, which besides tees and totes, also includes a unique cat brooch, and some adorable embroidery, inspired by a picture she took of her foster cat! Miri has been kind enough to offer a fabulous treat to one lucky Catsparella reader! 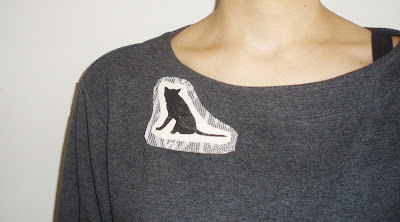 One winner will receive their CHOICE of one shirt AND one tote bag from the EM by Miri shop! All you have to do is leave a comment on this post for a chance to win (be sure to leave your name so I can find you!). The contest is open to everyone, so our international friends can participate, too! Please one entry per person, only. The winner be will chosen in a random drawing this Friday, March 18, 2011 at 5:00PM EST. Good luck, and be sure to stop by Miri's shop to pick out what tee and tote you'd select if you won!